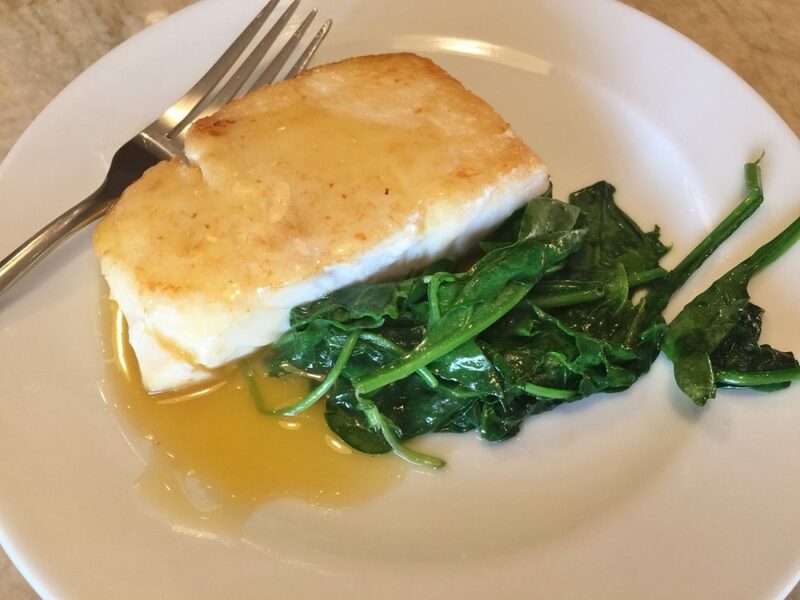 Halibut with Citrus Sauce - Recipe! - Live. Love. Laugh. Food. During summer we all tend to eat a little lighter due to the increased heat and baring a bit more skin in our hot weather wardrobe of sundresses, sleeveless tops and shorts. Fish tends to be at the top of the list of foods that are satisfyingly light and are super quick to prepare. 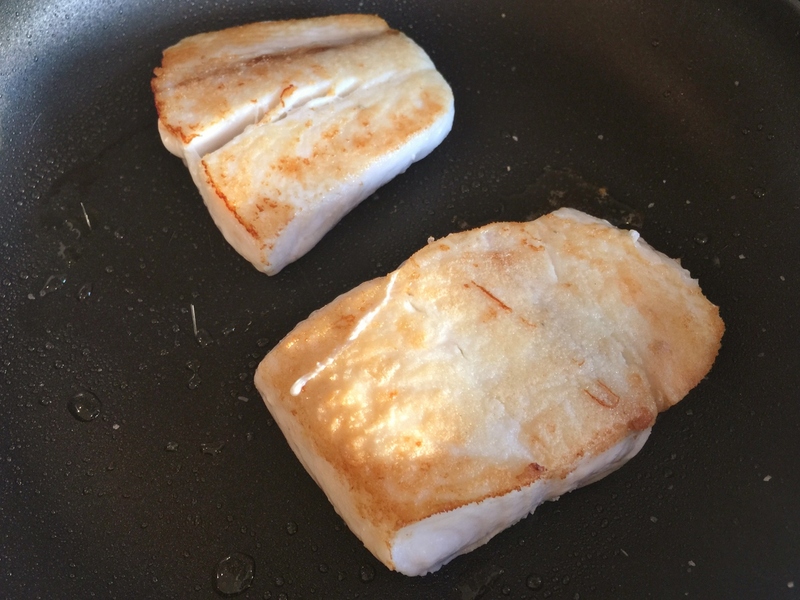 Halibut, a white fish even the pickiest of eaters seem to enjoy, is mild in flavor and with a simple pan saute and a drizzle of sauce, you have the perfect summertime meal. Halibut is refreshingly easy because it doesn’t require much time in the pan. The flaky fish needs about 3-4 minutes a side, depending upon its thickness, on medium to low heat and it’s done. 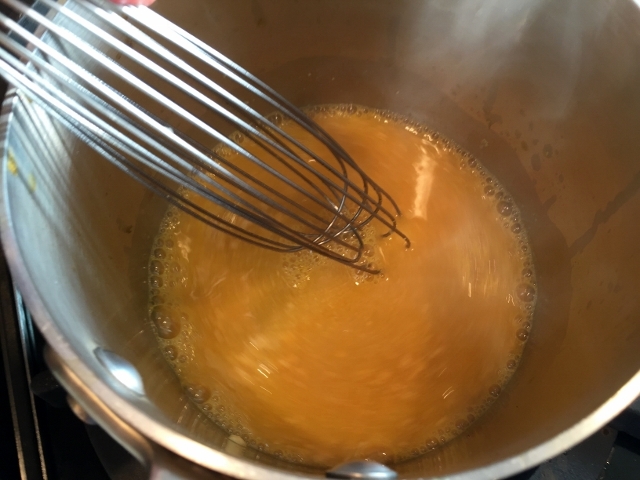 As for the sauce, freshly squeezed orange and lemon juices for a pop of tang and a little butter to add depth and creaminess to the finish. This recipe is so quick that you will be dining under the stars in no time without breaking a sweat. I like to serve this meal with a crisp Sauvignon Blanc or light Pinot Noir. 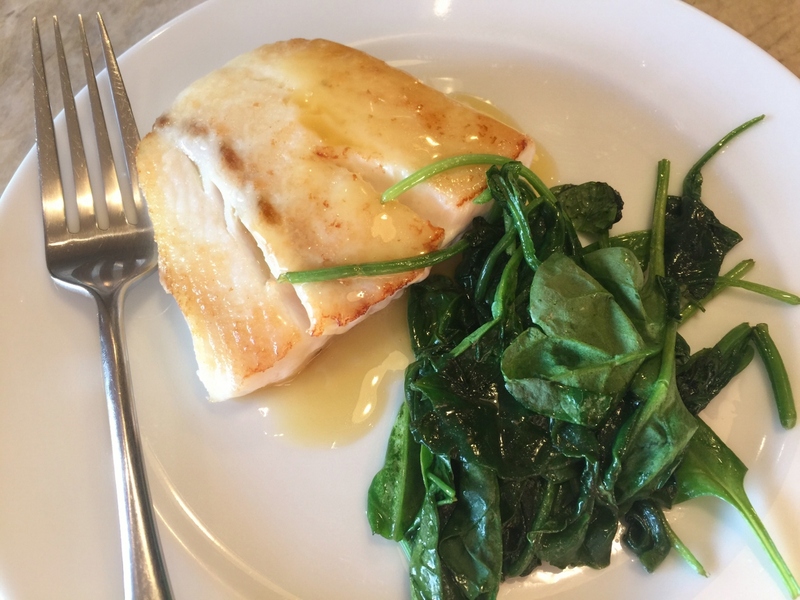 For an easy side dish, toss a little spinach in the pan after you have removed the fish for 2 minutes – it’s pretty great with the halibut. 1. 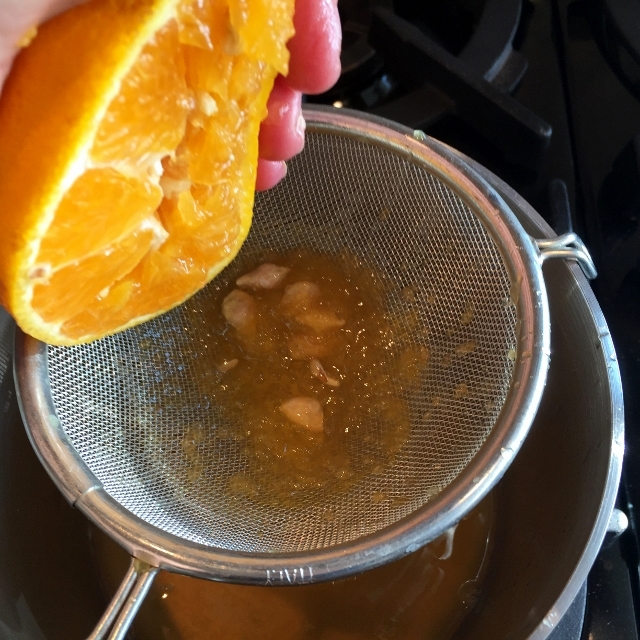 Squeeze orange and lemon over a fine sieve into a small saucepan. 2. 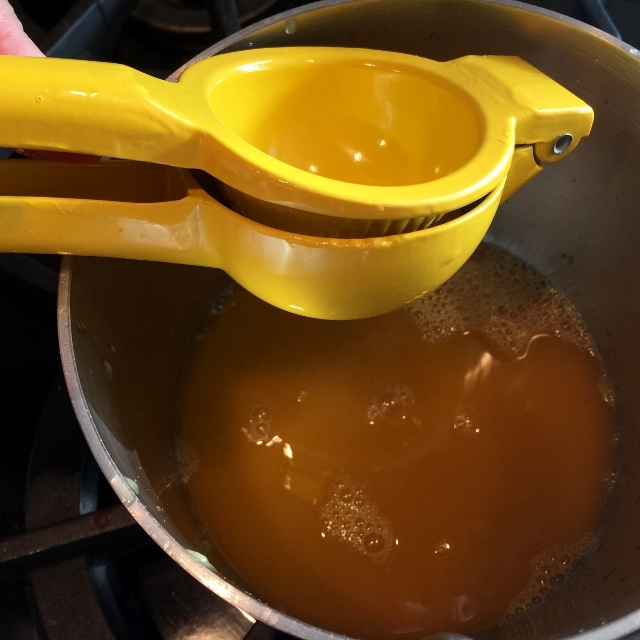 Place pan over medium high heat and let juice reduce by a third. Sprinkle fish with salt, pepper and flour. Add 1 teaspoon butter and 2 teaspoons olive oil to a saute pan and place over medium heat. 3. After 2 minutes, add fish and saute for 3 minutes. Flip fish over and cook for 3-4 minutes. If your fish is thick, add 1 minute each side. Be careful to cook on medium to low heat, so fish doesn’t dry out. 4. 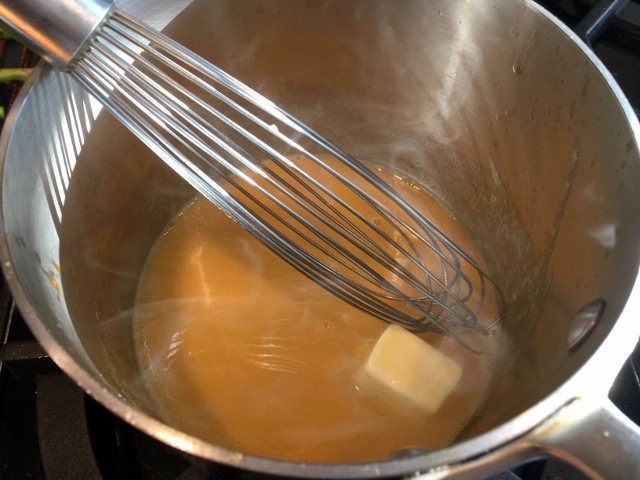 Add remaining diced butter to reduced juice and whisk until smooth, and slightly thickened. Place fish on plate and drizzle with sauce. Enjoy! 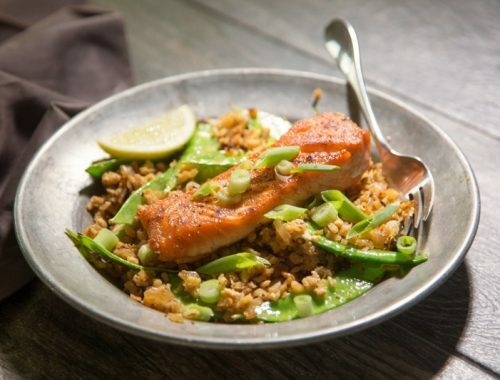 Asian Salmon Riced Cauliflower Bowls – Recipe! 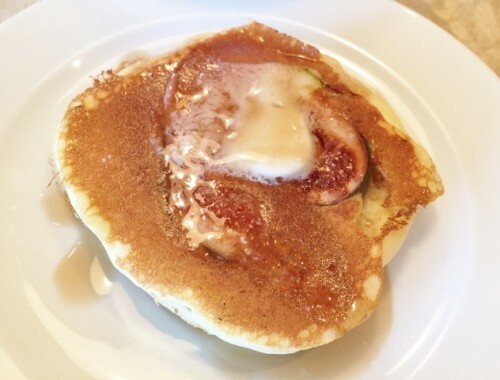 Easy Buttermilk Fig Pancakes – Recipe! 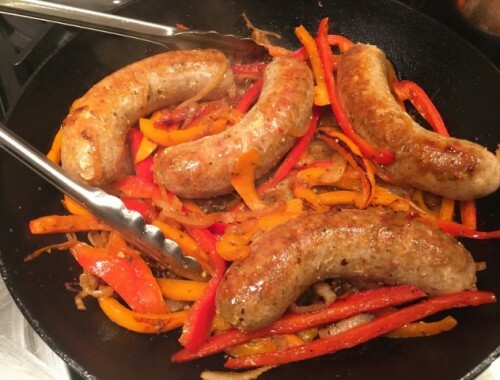 Stovetop Sausage & Peppers – Recipe!